Here We Are Sharing MADE EASY Delhi Classroom Handwritten Notes of Electrical engineering Branch Paper. for Upcoming IES 2020 Exam. These Handwritten Notes are full of Quick Tips & Tricks Which Are Very Very Important For Your other Exams also Like IES, GATE, PSUs Etc. You Can Download These MADE EASY Handwritten notes Electrical IES premium Study Material By Paying some amount of Cost. These handwritten notes on Electrical engineering will also help you to prepare different competitive exams like GATE, IES, UPSC, State PSC, Railway Exams, Junior Engineer, Senior Section Engineer and so on. 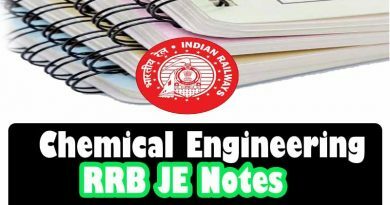 These Made Easy handwritten notes of Electrical engineering will help you to understand all key concepts for IES 2020 Exam. ← Made Easy Class Handwritten Notes of Electronics Engineering for IES 2020 download ! some subjects for IEs have same syllabus as GAte…you can google it for more information..
if you are preparing for ies then these ies handwritten notes are sufficient because it contains complete syllabus for ies exam..